I know people who eschew “trendy” things as a matter of some sense of obligation to leading an authentic life. Whatever. Sometimes things are trendy because they are fun! I am usually late to the party. I only hear of awesome things long after everyone else has started doing it and they are becoming cliche. 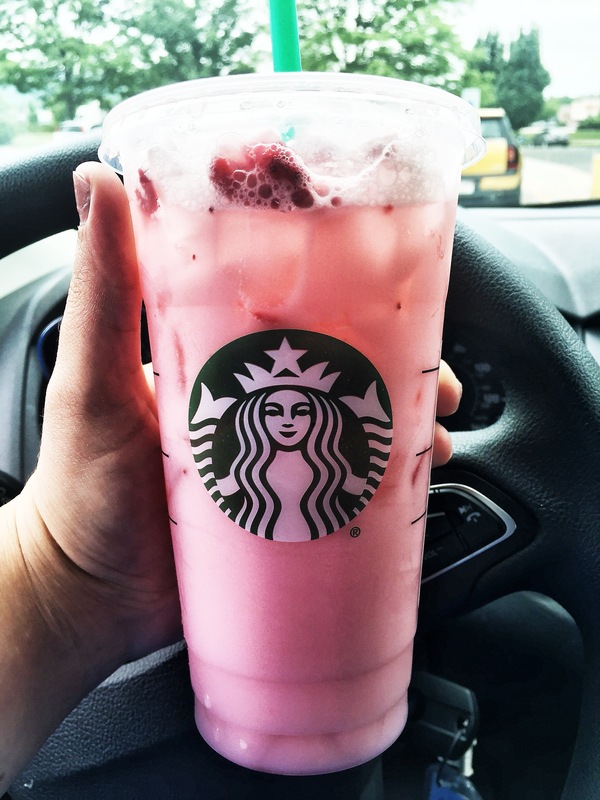 Today I saw about a million posts about Starbuck’s Pink Drink on the book of faces and it sounded yummy. So, I went and bought one. I took the obligatory picture of my lower calorie than some refreshment. Then, I drank this deliciousness in a plastic cup. I felt refreshed. I did not feel all that much cooler. Okay, that’s a lie. I felt immensely cool. I felt like one of the elite beverage drinkers of the world. I like Facebook. I like trending things. Perhaps instead of just being a poser, I could consider myself educated and resourceful. Come on, you could not expect me to drink Soy Chai Lattes with no water forever could you? It’s summer. I needed a refresher. Like everyone else. Maybe it’s just a trend because it tastes like summer in a cup. Don’t judge me. I do that enough as it is. I don’t seek to be cool. It’s just a happy byproduct of learning how to order off the secret menu at Starbucks.